Why are gardens forgotten in house renovation projects? Have you been watching the BBC2 programme The £100k House – Tricks of the Trade? I love it! It’s so inspiring to see what people do to their homes with modest and sometimes really small budgets. We’re certainly getting some great ideas for our own house. But what strikes me always with home makeover shows is that the garden is nearly always missed out of the equation. Even on Grand Designs, where sometimes people are spending close to six figures, the garden gets only a moment’s attention. Gardens always get battered during house building projects and if an extension is added it often covers up what was the old terrace. If the garden isn’t considered during the planning stages there very often isn’t any cash left at the end to do anything with the garden. I do realise that designing gardens is what I do and I’m probably a bit more tuned into the potential of an outside space than a lot of people, but it makes no sense to me at all to incorporate a set of bi-fold doors that open onto the garden, only to look out on a tired lawn, maybe a shed and, if you’re really lucky, a trampoline. The same applies to the front garden too. Wouldn’t it be so much more inspiring and welcoming if the front of the house reflects what you’re planning to do with the house? 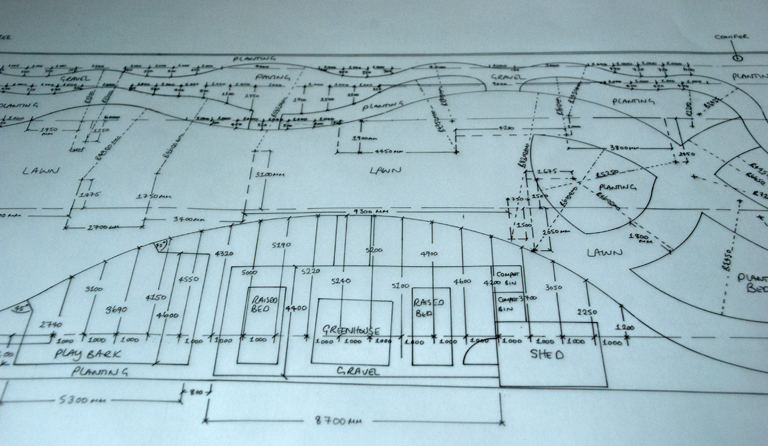 I think one of the challenges with house building projects is that they often end up going over budget. There may have been something in the original pot to do the garden but this gets eaten up with other more pressing things inside the house or by deviating from the original plan. But even with a small budget, it’s still better to plan ahead of time so that you know what you’re aiming for and then you can do some of the essential messy work up front and perhaps finish things later as funds become available. 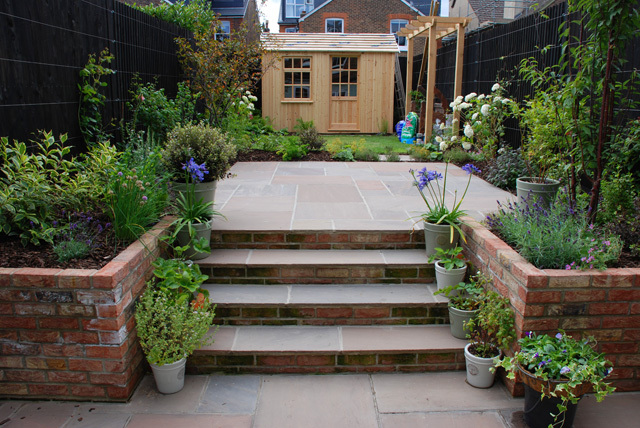 Working with a garden designer, much in the same way as you’d work with an architect, will help you to get the most out of your garden and it will also save you money in the long run. It will help you to understand how much of your budget you should keep aside for the basic elements at the very least. Plonking a patio outside the bi-folding doors will give you a solution to the muddy earth outside, but it won’t necessarily mean that it’s the right place for the table and chairs or indeed that it is big enough to allow you to entertain comfortably. 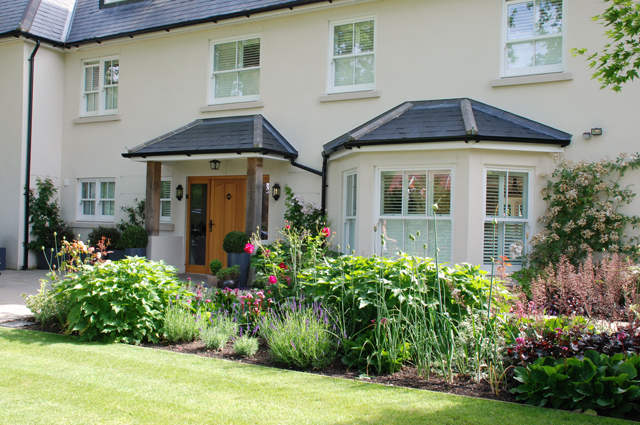 And bearing in mind that the hard landscaping is likely to be the most expensive part of your garden build, it really does make sense to take a step back and ensure that you get it right. 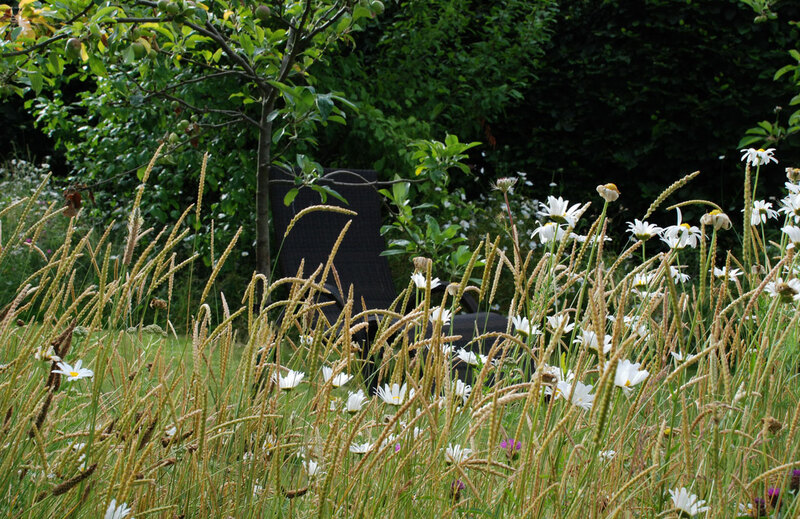 If you’re planning a house renovation project, please please please consider the garden too. Spending some money on the outside may not seem like a priority but I can absolutely, hand on heart, promise you that it will make a world of difference to your home.